Composing is always a form of improvisation: with ideas, with musical particles, with imaginary shapes. And it is in this spirit that the artistic itinerary and world-view of the Turkish composer and pianist Fazıl Say should be understood. For it was from the free forms with which he became familiar in the course of his piano lessons with the Cortot pupil Mithat Fenmen that he developed an aesthetic outlook that constitutes the core of his self-conception as a composer. His musical concepts are influenced by his great interest in jazz, improvisation and Turkish traditions. Say wrote his first piece at the age of 14 and attracted international attention in 1997 with his piano work Black Earth. Since then, he has received commissions from the world’s most prestigious prestigious festivals and groups including the Salzburg, Schleswig-Holstein and Mecklenburg-Vorpommern Festivals, Konzerthaus Berlin, Vienna Konzerthaus, Radio France, BBC, NDR Radiophilharmonie, Luzerner Sinfonieorchester and Cities of Bayreuth and Vienna, etc. Some of his notable works include his three symphonies Istanbul (2009), Mesopotamia (2011) and Universe (2012), the Gezi Park trilogy (a double piano concerto in 2013, a piano sonata and an orchestral work with soprano in 2014), piano concerto Silk Road (1994), violin concerto 1001 Nights in the Harem (2007), clarinet concerto Khayyam (2011) and many solo piano works such as Alla Turca (1993) and Paganini Jazz (1995). 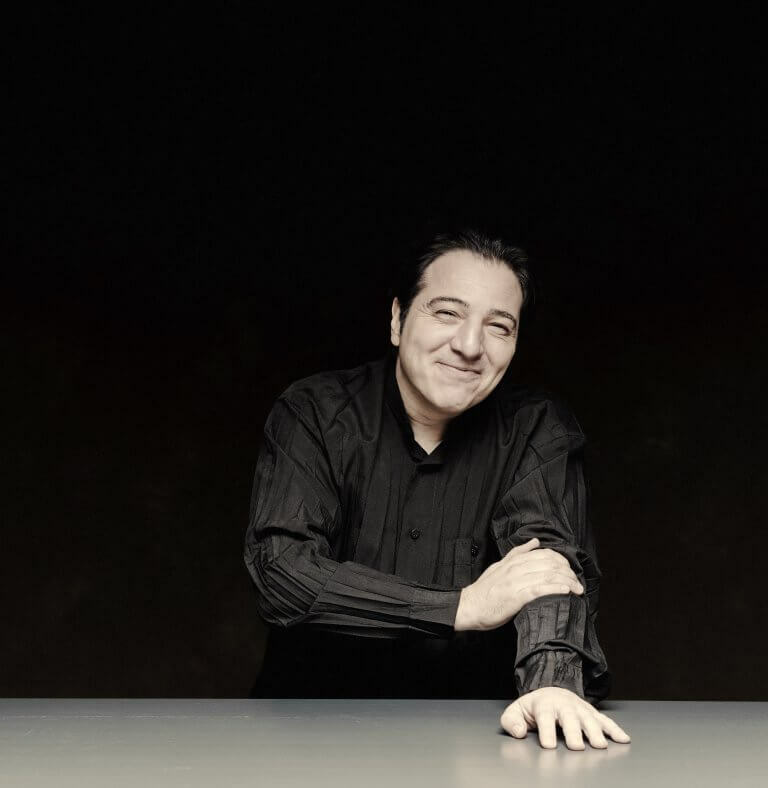 Alongside numerous awards for his piano performances, recently Fazıl Say was awarded the International Beethoven Award in 2016, and Music Prize of the City of Duisburg as well as for two CD releases the ECHO Klassik and the Edison Klassiek in 2017.